If I asked you whether you want to dream big and play full out and achieve amazing things in your career, I’m guessing you’d give me an enthusiastic ‘Yes’. And if I asked you if you’re prepared to pay the price, in terms of hard work, patience, setbacks and so on, you’d probably answer ‘Yes’ to that as well. But there’s one part of the price of success that is by definition impossible to predict, and almost impossible to prepare for. It’s the point where you lose control. Maybe you’re an artist applying for a big opportunity — a grant or a book proposal or a residency or something — that could be life-changing for you. Or maybe you’re putting out a new work that is radically different to anything you’ve done before. It’s risky, and it could flop. It feels like your reputation is on the line. Or maybe you’re an entrepreneur and you’ve committed your resources to developing a new product, or to a big deal where there’s a lot of money on the line. Whatever your line of work, events can surprise you – something goes wrong, that you didn’t or couldn’t foresee, and you have to deal with the consequences. Maybe someone attacks you or does something to undermine you. Or maybe you’re subjected to public criticism and abuse that isn’t justified, but isn’t easy to counter. Maybe the future of a project, or even your company, depends on a legal case, and there’s only so much you can do to influence the outcome. I see this kind of situation week in week out, when I’m supporting coaching clients who are going through them. I’m there for them when they are facing a problem they can’t talk about in public, or with their colleagues or their employees, and sometimes with their friends and partners, because they don’t want to unload all the stress on people close to them. At this point, I’m a kind of pressure valve for my client. On the one hand, I hate seeing them suffering. But on the other, it’s a privilege to be able to help by providing a space to think, to stay centred, and to work out their way forward. 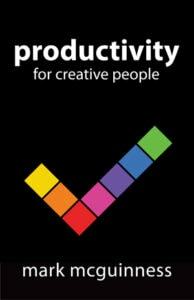 One of the things I’ve noticed is that if you’re a high level creative, you’re usually a very self-sufficient person. You like to take charge and make things happen. Like me, you’re probably a bit of a control freak. But by definition, if you have big ambitions and you want to make a big contribution, then you’re opening yourself up to something bigger than yourself – you’re connecting with a lot of people, or a few people who are very important in your world, and there’s a lot at stake for everyone, financially or in other ways. So at certain points in your career, you will find yourself out of control. You’ve done everything you can to influence the outcome, and now it’s out of your hands. You’re waiting for a gatekeeper to accept or reject your work. You’re waiting to see whether your new release is a success or a disaster. You’re waiting to see whether your product will sell, or whether the big deal goes through and it all pays off. You’re waiting for the storm of criticism to blow over. You’re waiting for a legal judgment that will allow you to move forward. At this point, you have to let go of control, let go of what people think of you, let go of certainty and security. Sometimes for days, sometimes for weeks — sometimes for months on end. So what can you hold onto? First of all, keep the big picture in sight – this particular project or incident or legal case or even company might feel like life or death, but in the larger perspective, it’s one episode, one challenge, one chapter in your story. Secondly, accept that this is part of the price of success, that most people aren’t willing to pay. In good times other people will envy you, but they won’t suspect what you had to go through to achieve it. Thirdly and very importantly, keep doing your work. Keep making something new. In the moment, it will give you back your sense of control and satisfaction. And by making something new, you’re creating a better future, regardless of what happens with the current situation. Fourthly, ask for help. If you’ve come this far, you know plenty of people who can help you in different ways, and who would love to help. So don’t be too proud to succeed: ask them! Fifthly, take care of yourself – keep up your exercise or meditation or bodywork routines. Get a massage or a spa treatment or go for a walk somewhere restful. Eat well and give yourself time to sleep properly. Sixthly, spend time with people who know and love you for who you are, regardless of how much success or failure, wealth or poverty, fame or obscurity, you happen to be experiencing right now. You don’t need to unload everything onto them; sometimes the most helpful thing they can do is to distract you and help you have a little fun in the midst of it all. And finally – stay true to yourself and your principles. Don’t do anything you’d be ashamed of later. Even if someone is attacking you and doing unspeakable things, don’t get dragged down to their level. Because regardless of the outcome, you’ll almost certainly likely live to fight and suffer and win or lose another day. When that day comes, whatever external rewards come with it, the most precious reward will be knowing your character was tested, and you were equal to the test. 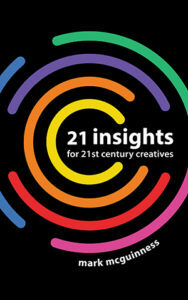 You can hear an audio version of this article in this episode of The 21st Century Creative podcast, starting at 2’45”. This is a very important post and I appreciate your writing it. I am glad you can be the help for some of your coaching clients. Thank you! Glad it hit the spot. Your writing and the way your ideas have the most wonderful, generous energy and flow that go straight to the heart …and then, your ideas find a good seedbed in the brain. I love your articles! I am learning very fast,a lot, everytime I read them. My work and myself are far better since I have finished your book! I look forward to your newsletters! Thank you! Thank you! What a great idea to loose control! Its so eliberating in a way isn’t it? To let go so you can grow and develop other things..
exactly what I neede to hear somehow..! Thank you Adriana, I’m delighted to hear you’re getting so much out of my writings. .. and these little accent patterns that come attached to name , are really nice. Great detail!